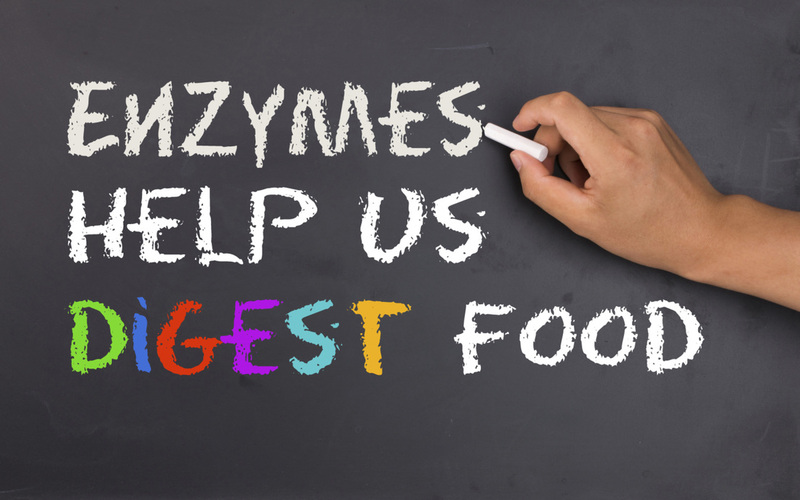 Enzymes run the biochemical reactions in all living things, including humans, animals and raw foods. If it grows or ripens, it has enzymes. Enzymes are the “workers”. They are made by the DNA of every cell, and need “work”, the right pH, the right temperature, and a wet environment. According to enzyme research pioneer, Dr. Howard Loomis, Jr., there are three different types of enzymes: those that occur in our food, those that are made in our body for the digestion of food, and the metabolic enzymes made by every cell of every living thing for biophysical reactions. Without enzymes, we could not see, hear, think, walk or talk – never mind digest our food. Food enzymes, found in raw foods, are destroyed or removed anytime food is cooked, processed, irradiated, or genetically engineered. Foods lacking in enzymes require our own digestive enzymes to break the food down to an absorbable form. If we don’t have enough digestive enzymes, we borrow metabolic enzymes. This will feel like exhaustion in the middle of Thanksgiving Dinner and is medically diagnosed as digestive leukocytosis. It can be avoided by supplementing with enzymes. 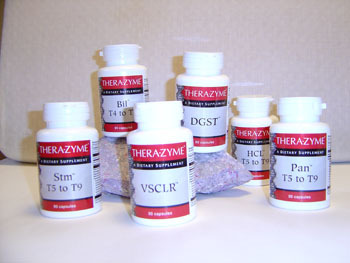 Since every cell is making enzymes, the body doesn't stop just because you take supplemental enzymes. In other words, enzymes are not hormones. The best illustration of the importance of adding enzymes back into our food is the “oatmeal test”. Cook oatmeal, pour it into two glasses, and add digestive enzymes to one glass. Within minutes, the thick oatmeal becomes thinner, illustrating the power of plant enzymes in the action of digestion. If you suffer from headaches, depression, anxiety, irritability, stiff sore joints, heartburn, indigestion, GERD, bloating, distention, gas, diarrhea, constipation, restlessness, insomnia, back pain, allergies, or weight control problems, the source of your stress could be poor digestion. If you don't digest your food, you can't absorb your nutrition! If your cells are hungry, they can't perform their specific function! This is why disease has it's roots in digestion. And this is why supplementing with food enzymes brings a better quality of life no matter what symptoms you have. Just as Hippocrates said, disease begins in the digestive tract. such as cardio-vascular, dementia, diabetes and cancer.